Jen Webel is the Pre-K 3–4th Grade Art teacher at St. Gabriel’s Catholic School. She joined the St. Gabriel’s family in 2005, bringing with her 17 years of teaching experience. Jen loves to teach because she loves to help children create art together. A native of Chicago and Atlanta, Jen earned her bachelor’s degree in Interdisciplinary Studies, Scientific Illustration with a minor in Spanish culture and language from The University of Georgia in Athens. She also earned her Master’s degree in Art Education with a focus on New Genre Ansel Adams from the University of Arizona in Tucson. Jen speaks English and Spanish. In her spare time, Jen loves to spend time with her family and their 5 cats and 5 hens, plan a healthy vegetarian menu, read, garden, or give tours of her in-home museum. Jen loves to travel to Central America and Eastern Europe. 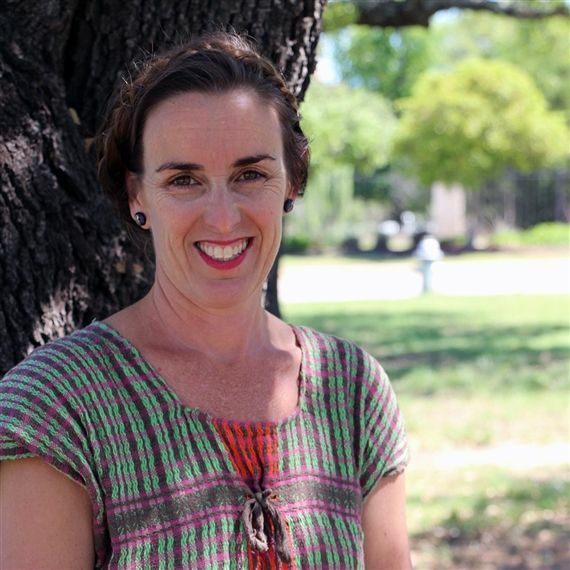 You can reach Jen at: JWebel@sgs-austin.org.